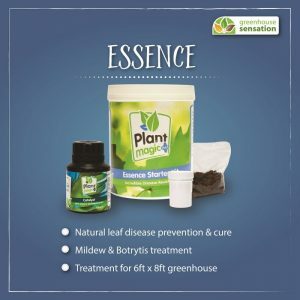 I mentioned my powdery mildew problem to a pal at Greenhouse Sensations who promptly sent me a pack of their Plant Magic Essence biological control for powdery mildew and other leaf diseases to try. 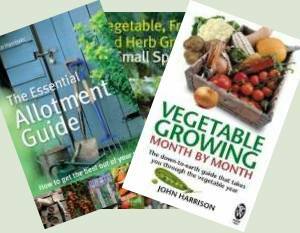 I have two plants affected, a courgette and a cucumber. 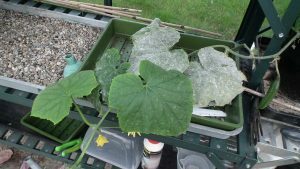 The cucumber was in pretty poor condition to start with as my nutcase moggy had been eating the leaves whenever she managed to sneak into the greenhouse. It’s impossible to keep the doors shut when it’s really warm so whenever the door was open and I wasn’t about she’d be in like a shot. Since the cucumber was in a pot and the foliage much reduced, I moved it onto the bench which fooled the cat, who is blind. Not that you’d guess that if you met her, she charges around the place playing with the other cats and even catching the odd mouse. I’d tried the diluted milk spray on the plants which is often effective against mildew but it hadn’t worked. I think the cat thought I was putting sauce on her leaves! Neither had a bicarb spray or spraying with SB Invigerator. 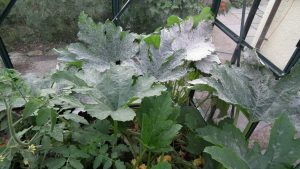 On some of the courgette leaves the mildew was that thick that it was like they’d been coated in chalk dust. Spraying with water would was off the loose mildew just as if it was dust. Amazing really that the plant was otherwise quite healthy. 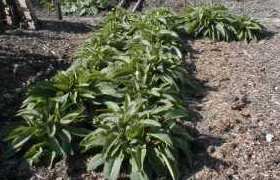 The idea is that the spray contains friendly bacteria that colonise the leaf’s surface and stop the mildew from getting a foothold. Subtle and simple. You start by drawing water and letting it stand for at least an hour so the chlorine evaporates. We sometimes seem to have a lot of chlorine in the water here so we use a water filter. The tea tastes better! Still, I let the water stand so it warmed up to room temperature. Next added some molasses and after they were dissolved, the powder containing the bacteria and stir thoroughly. 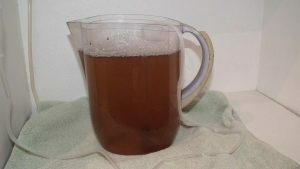 It can just be left but it suggests aeration so I set a small fishtank airpump to bubbling in the jug. After 12 hours added some stimulant which was actually the trickiest part as it states 3ml per litre and measuring 3ml isn’t that easy. Luckily we had a syringe (no needle) used for dispensing medicine to the cat! Then it’s just a matter of spraying the leaves until they’re really wet on a weekly basis. It has to be a fresh batch each time. 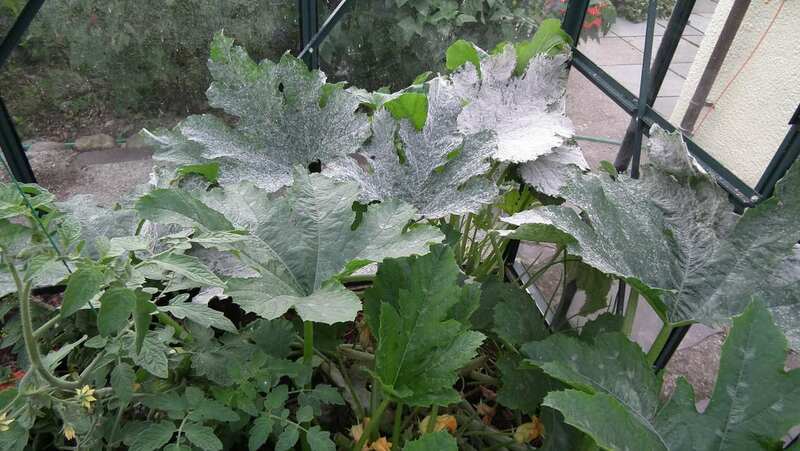 The Results – Does Biological Control for Powdery Mildew Work? 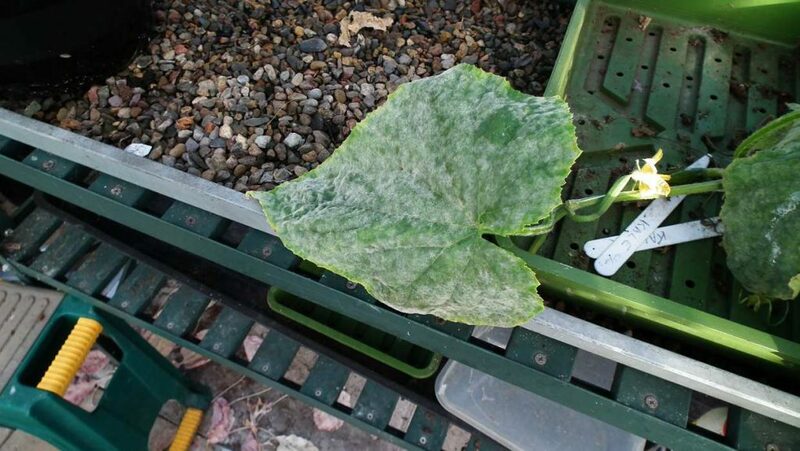 I’d say it’s only been moderately effective on the cucumber, the leaves are still affected although not too badly. To be honest, I was going to dump the plant as it was so obviously on its last legs so no great loss. The courgette though is much improved. I had to cut some leaves off, including the ones with the thick layer of mildew, to get to the fruit. The spread is halted on the rest and the new leaves are clear and very healthy looking. 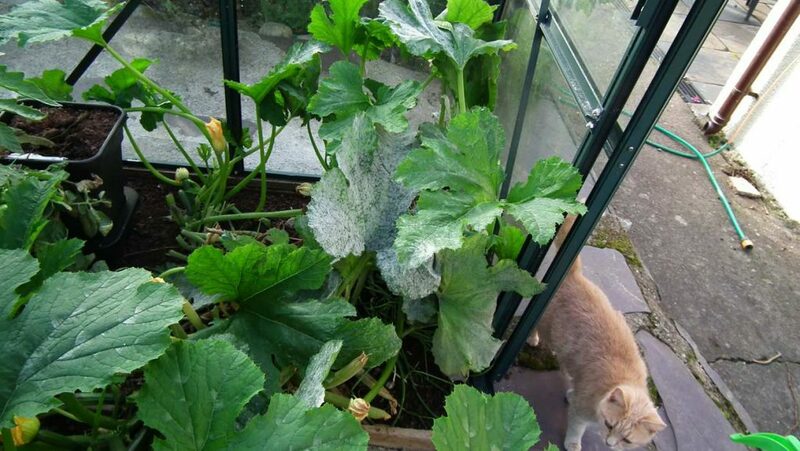 Treated Courgette Plant – Notice the Cucumber Eating Cat! 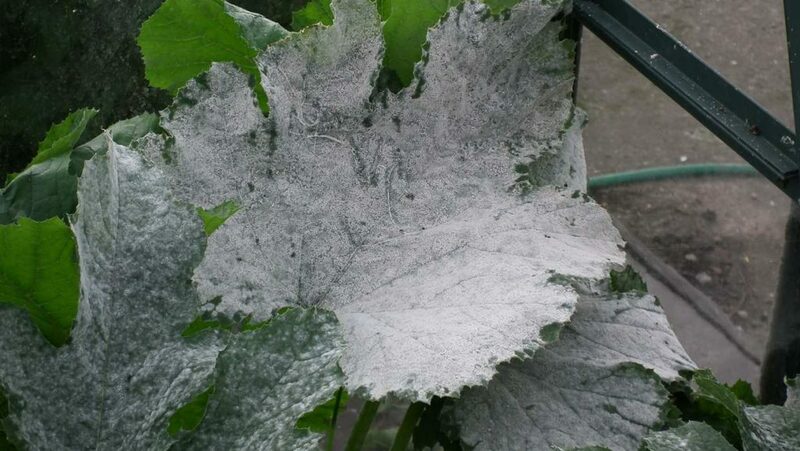 Used as a preventative, Plant Magic Essence Biological Control should prevent powdery mildew developing. Used immediately when the disease starts it is very effective but when the mildew is advanced it is less effective but it will prevent development on new leaves allowing the plant to recover.